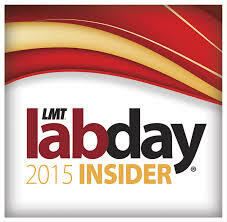 Since its debut 25 years ago, LMT’s LAB DAY West has grown from a regional show with 800 attendees to the largest dental laboratory trade show on the West Coast and a truly international event. This year’s show in Garden Grove, CA, drew 1,706 laboratory owners, managers and technicians, hailing from 27 states and 10 other countries. Attendees crowded the LAB DAY West registration table by 6:30am Friday, May 1, eager to take advantage of over 120 clinics and hands-on demonstrations and the opportunity to earn more than 100 CE credits during the two-day show. The exhibit hall—open only on Saturday, May 2—was bustling and upbeat, as 148 manufacturers and suppliers showcased their latest products, equipment and services. Here’s a look at some of the show highlights; watch for LMT’s June/July issue for complete show coverage, including the latest product launches. Join us in 2016, again at the Hyatt Regency Orange County on May 13-14.